I was younger then, more focused on five-year plans than realizing what kind of growth I needed to make as a writer. Maybe I didn’t realize the value of time until I actually started my MFA, when I saw the changes in my writing, just from being in a program for a few months. But time is really what so many writers are chasing after, hoping for just an hour between responsibilities to jot down the ideas from last night’s dream, this morning’s shower. For many of us, this is why the MFA space is sacred. It’s why many of us apply to longer programs or try to get fellowships after graduating. I moved to Tucson from NYC. I had colleagues and friends who told me I would miss the bustling city right away. There were people who called me “brave,” and I knew that really they were saying that I was foolish and that I would come running back as quickly as possible. But I’ve found that along with time, the MFA at the University of Arizona is ripe with opportunity. Tucson itself is a small city, yes, but it is vibrant, culturally varied, surrounded by mountains. You can’t know how inspiring a desert is until you have lived in one, until you see the hardy cacti and the huge beetles with glossy, rainbow backs. These days, all my fiction has a touch of Tucson, whether through place or attitude or idea. In terms of the program, I’ve joined the reading staff of the prestigious Sonora Review, and am part of the group, Many Voices, celebrating diverse writers on campus. I’m also the Creative Writing Representative for the English Graduate Union. In the rest of my time here, I plan to work at the Poetry Center, take classes that allow me to teach creative writing in local schools, explore another genre (creative non-fiction! ), and maybe work at a small press, like Spork Press or Kore Press. When it comes to time, I’m scared two-fold, though. A part of me is worried I’m not taking advantage of all my resources, even with all that I have planned. The other half reminds me that I came to an MFA to write as much as possible. How am I supposed to reconcile these two parts of myself? The work or the literary citizenship? I’m not ready to compromise on either front. This is problem that MFA students often face in a two-year program, one that our Program Director, Ander Monson, and the faculty have been aware of for some time. Part of their goal in lengthening the program is to create more space for students to explore the resources of the city and the campus, without taking away from time to write. As Ander says, “The new MFA program simply preserves the things we love about the old program—the kickass workshops, the rangy craft classes, and all the opportunities an MFA program can offer—and gives students more space to take advantage of them. It’s simply more flexible.” Ander and the faculty have also cited this extra time as helping students write “more ambitious and successful books” for their theses. With this change, students can tailor the program to their specific goals even more than before. It might seem daunting to commit to spending three years in Arizona, especially if you aren’t from that region. I can’t blame you for that feeling. I have a feeling that most of you will fall in love with how strange and valiant and artistic Tucson is. But the most important thing I can promise you is that you’ll be coming into the University of Arizona with a whole program behind you, offering you warmth and community. We are a diverse program, with people of all ages and backgrounds, with members and faculty who want to hear you. We want to take you to Exo Roast Co. to take about our lives and our fears and our commitment to writing. We want to eat at Greek House (let me tell you, there are some excellent feta fries) before a reading. We want to share our lesson plans and have program-wide conversations about gender bias in the literary world. So, get excited! Apply. Those of us who are already here can’t wait to meet you. The University of Arizona application deadline is January 1st. For other information, check out the website. Eshani Surya is a current MFA student in fiction at the University of Arizona in Tucson, where she also teaches undergraduates. Her writing has appeared in Ninth Letter Online, New Delta Review, Lunch Ticket, Flyway: Journal of Writing & Environment, among others. She was the 2016 winner of the Ryan R. Gibbs Award for Flash Fiction from New Delta Review. 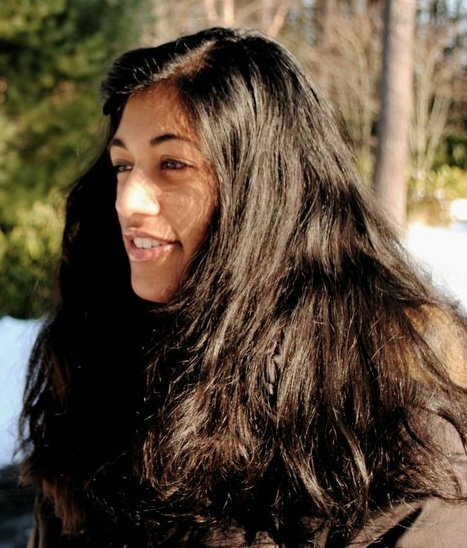 Eshani also serves as a reader of fiction at Sonora Review. Find her on Twitter @__eshani.